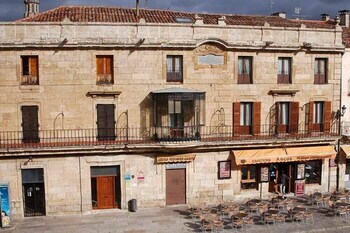 When you a stay at Hospedería Audiencia Real in Ciudad Rodrigo, you'll be in the historical district, just steps from Plaza Mayor and Ciudad Rodrigo Town Hall. Featured amenities include complimentary wired Internet access and multilingual staff. With a stay at La Cueva de la Abuela, you'll be centrally located in Cenes de la Vega, within a 10-minute drive of Aquaola and Fun Park Serrallo Plaza. Located in Calvia, Apartamentos La Promenade is minutes from Tennis Academy Mallorca and close to Square Santa Ponsa. Featured amenities include a 24-hour front desk and laundry facilities.